The building was passed on to his son who finished the building work. Layer Marney Tower was inspired by Henry VIII's belief that a building should reflect the status of its owner. After the 2nd Lord Marney's death the estate passed into the hands of Sir Brian Tuke who was Treasurer to the Royal Household and Governor of the Kings Posts. His daughter-in-law entertained Queen Elizabeth I here in 1579; the Queen probably stayed in is what is now known as the billiard room within the gatehouse. From Sir Tuke and through the centuries the house has passed into many different hands. The Great Earthquake of 1884 damaged Layer Marney Tower but not seriously enough to destroy it completely. Alfred and Kezia Peache, brother and sister, are credited for leading the repair efforts as well as adding to garden to the south of the Tower. 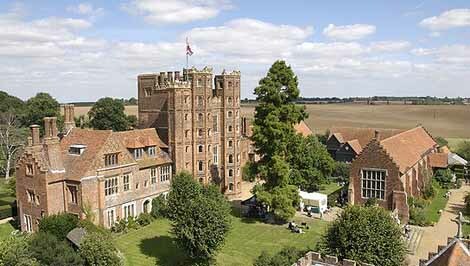 Recently Layer Marney Tower is opening its door to Paranormal Investigators to investigate the ghosts at the building. Only recently TV's Most Haunted paranormal team investigated the building with promising results.